With Readly you can read macOS Mojave Complete Manual and thousands of other magazines on your tablet and smartphone. Get access to all with just one subscription. New releases and back issues – all included. Discover how to get started with your Mac and macOS! Learn more with expert tutorials. Get advanced Help for the macOS and your Apple Mac or MacBook. Apple’s latest update to the macOS, , is here and it’s amazing, adding new functionality and features to the already impressive macOS. 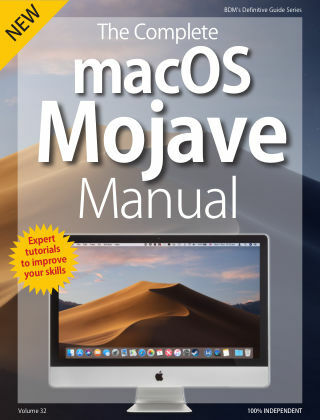 In this 100% independent manual, we take an in-depth look at all the key features of this new OS, with illustrated tutorials which are suitable for all Mac and MacBook users. 100% unofficial.